Winter quarter (or any quarter, honestly) can be stressful for a variety of reasons—anything from the lack of sunlight to a mid-year motivation slump, a tough course load or just feeling stuck in a rut. If you find yourself facing a lot of stress, overwhelm, or are feeling really tense, try some of these tricks to make life feel a little more manageable—and enjoyable. Join a club – for fun! 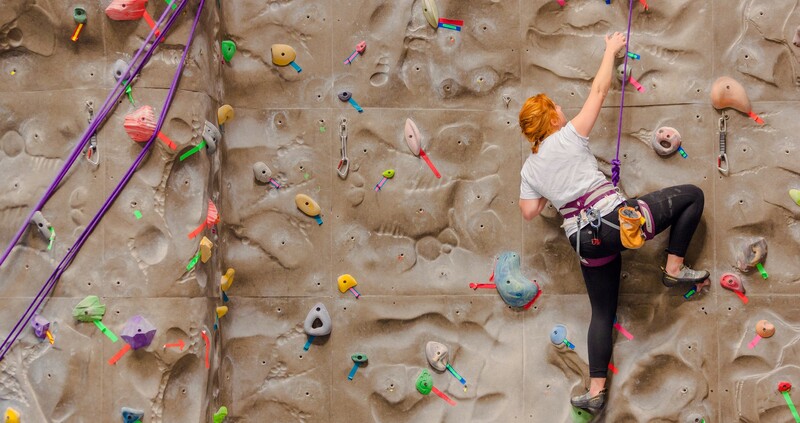 During your first days at UW, the sheer number of activities and opportunities can be overwhelming, but it’s so easy to play it safe, fall into a routine, and never look back. When you’re super focused on your classes and leadership activities, sometimes your hobbies fall by the wayside to your busy schedule. If you’re stressed or feeling burnt out, doing something you’re passionate about or enjoy can do wonders for your mood. Could an a capella group, the Hiking Club, the Cooking & Baking Club, or Badminton Club be perfect for you? Find out – and explore the full list of UW’s 900+ other student clubs here. (P.S. If you don’t see one that strikes your fancy, you can always start your own!) Check out the infographic at left to find out how. Research shows that time in nature and time by bodies of water can dramatically reduce feelings of stress and anxiety. Don’t let scattered showers deter you—grab a jacket or umbrella and head outside! Whether it’s five minutes on a bench under the Ship Canal Bridge, a stroll down to the UW Farm, or just a quick bike ride on the Burke Gilman Trail, just a little time outside can make a big difference in your mood. If you’re a currently enrolled UW student, all you need is your Husky card to check out your books. If you live in the UW-Seattle dorms or near Seattle campus, you can also register for a free Seattle Public Library card, which will not only let you check out books from their branches, but also give you access to a huge range of audiobooks and ebooks you can download to your device. More info on how to get a SPL library card here (you must have valid ID and proof of address). These fun & free modern dance workshops, co-hosted by CHOP SHOP: Bodies of Work and The City of Bellevue Parks and Community Services Department. And don’t forget that many Seattle museums are free on the first Thursday of every month. As Elle Woods once said, “Exercise gives you endorphins, endorphins make you happy.” This might be a slight oversimplification, but it’s undeniable that exercise has a ton of benefits when it comes to managing stress. Head down to the IMA, take a leisurely jog to Gasworks Park, or even grab a canoe from the Waterfront Activities Center on a clear day. Getting some exercise doesn’t have to mean hours on a treadmill or training for a marathon—it could be as simple as walking across campus instead of taking the bus, or trying out some new yoga classes with the Mindfulness Pass. I couldn’t find any scientific data to back me up, but I’m pretty sure that curling up with a good binge-watching session is every college student’s favorite activity. You’ve probably already got your go-to sites and shows, but here are just a few suggestions if you want to mix things up. The UW Film Club hosts frequent movie nights, usually with films that aren’t available on Netflix, Hulu, Amazon Prime Video, etc., like Alfred Hitchcock’s Rear Window or 500 Days of Summer. Their events are totally free, so follow the UW Film Club Facebook page to see upcoming movie nights you might be interested in. They also collaborate with movie studios pretty often, so you might also get the chance to win free passes to advance screenings of upcoming Hollywood movies before they’re open to the general public! Dorm residents also get complimentary streaming HuskyTV (powered by philo.com) and access to HBO GO. Learn more here. You can also borrow DVDs of movies and tv shows from Suzzallo and Allen Libraries, or request them online if they’re currently checked out by someone else. Just log into your UW Library Account and get started! When it feels like there just isn’t enough time in the day to get everything done, sleep is usually the first thing to go. However, this can actually have negative effects during your waking hours, potentially leading to decreased academic performance, increased mental health issues, and a weakened immune system. Getting a good night’s sleep will actually make you more productive the next day, helping you get through that mile-long to-do list. Try setting an alarm on your phone 30-60 minutes before you plan to go to bed to remind you to start winding down for the night, or schedule a 20-minute power nap during the day. While complaining about the constant Seattle gloom may be a popular extracurricular for most UW students, its effects can be more than just annoying. Seasonal Affective Disorder, caused by reduced natural light, affects more than three million people a year and can be especially widespread during the winter. Symptoms include mood changes and increased appetite, as well as changes to your weight, sleep habits, and activity levels. The UW Counseling Center offers free light therapy for currently enrolled UW-Seattle students who are affected. Call (206) 543-1240 to schedule an intake appointment (which is required before beginning sessions with the special light box for treatment). Let’s be honest—a lot of our stress as college students comes from our academics. 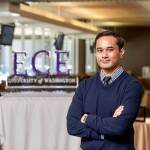 Maybe you’re applying for a competitive major or just worried about your next Econ exam, but there are a ton of academic resources at UW here to help. Your professors. Go to office hours! They want to make sure you understand the material, and they’re the expert on what they’re teaching, so if you’re confused about something in class, who better to ask than your prof? If you’re really interested in the subject they teach, they might also be able to suggest other classes or programs you might enjoy. Your TA’s. They’re students just like you, so it can be less intimidating to ask them for help instead of your professor, especially if you’re in a 500-person lecture. Study centers & tutoring. Struggling with a philosophy essay? Make an appointment at the Philosophy Writing Center. Think you might have a question on your Math 126 homework? Work on it at the Math Study Center, where TA’s are available to help if you run into a tricky section. The Center for Learning and Undergraduate Enrichment holds drop-in help for many classes, along with exam reviews and class discussions. An appointment at the Odegaard Writing and Research Center can help you refine your research paper or brainstorm new insights for your English 111 essay. Check out more resources here. Academic advisers. Their full-time job is helping you along your academic career! They can help you identify academic strengths & weaknesses, suggest career paths, help you pick courses, and help you create long-term academic plans. In my opinion, one of the best things about being a Husky is getting to live in the beautiful Pacific Northwest. 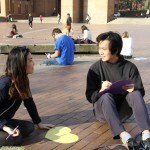 With the UPass on your Husky Card, why not carve out some time to explore a little? Take a quick day trip to Bremerton on the Kitsap Fast Ferry, head to Golden Gardens Beach, or hunt down some hidden gems in Fremont or the International District. A change of scenery can help you return to your routine refreshed & inspired. While the weather outside might be dark & gloomy, try these tips to brighten your mood this winter quarter! Have any advice of your own to beat stress or stay upbeat? Let us know on Facebook, Instagram, or at dawglife@uw.edu. And finally – if you feel like you might need a little extra help, don’t hesitate to reach out to Hall Health’s Mental Health Clinic or the Counseling Center. If you’re experiencing anxiety, depression, or other negative emotions, they’re here to support you. 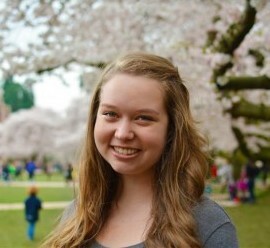 Student Life blogger Hannah McConnaughey is a UW senior studying Marketing and English who is also involved with the American Marketing Association and Her Campus UW. 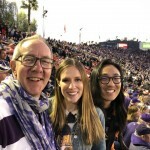 When not pitching, writing or editing blog posts for UWSL, you’re likely to find her making PowerPoint presentations for a case competition or ordering a vanilla latte on the Ave. To suggest a topic for the UWSL blog, email dawglife@uw.edu.